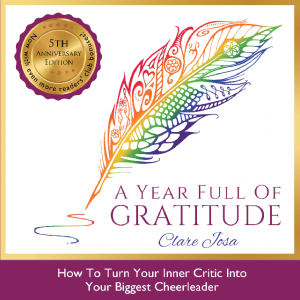 In this week’s gratitude podcast you’ll discover how to set yourself free from ‘gratitude white-washing’ – where we use gratitude to pretend that things are ok, when they’re not. It’s just another way we beat ourselves up and trigger our inner guilt. Plus I’m sharing a super-simple technique to set yourself free from this. I’ll be back next week with week 8 when I’ll be sharing my secret for how to keep going with a change in your life, even if you’re not in the mood!